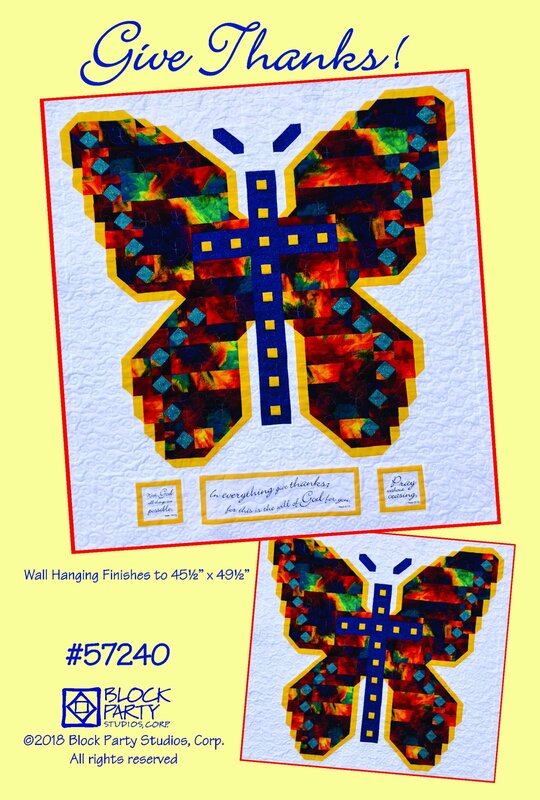 Our beautiful butterfly pattern and Give Thanks fabric panel. Quilt finishes to 45.5" x 49.5". Panel is available in natural or white.